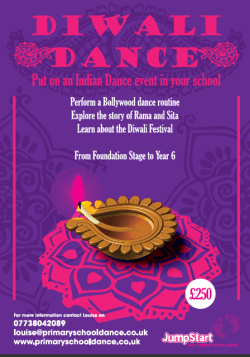 It couldn’t be easier to arrange a dance experience in your school to mark a significant event or celebrate something special. Make a big deal of it by booking in a professional dance teacher to run an all-day dance event for your whole school. And finish it off with a spectacular performance at the end of the day! Just a quick thanks for all your help/work the other day, it was amazing to see such quick progress and such a fantastic end result. Nearly all of the kids remembered the routine (which again amazed me!) the following day and it was performed in front of the parents. The highlight of the event was the sense of unity the workshops gave us – doing something together. They were very proud to perform the whole “Opening Ceremony” on Sport’s Day – their highlight was being able to impress their parents with their dances, but especially the group dance, which looked fantastic! A great start to their sports day. They loved performing to their parents. Don’t see the experience you would like to have in your school? Contact us to create your own bespoke package. 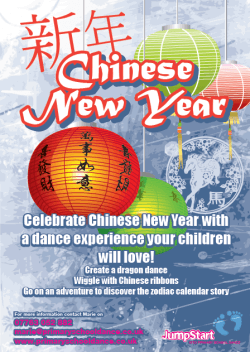 Celebrate Chinese New Year with an exciting dance experience for your whole school. Explore Chinese culture through dance, in a day your children will never forget! Learn the art of Chinese ribbon dancing, go on an adventure to explore the zodiac calendar and create fearsome dragon dances. 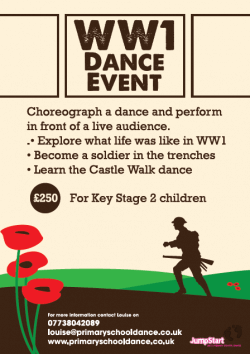 Mark the centenary of the start of WW1 with a dance event in your school. The children will take part in a series of workshops exploring what life was like at the home front, as well as for the soldier’s families and communities. The day will culminate in a professional performance, incorporating lighting, props, poetry and music, which can be shared with the rest of the school or parents. This exciting event can take place for any class in your school from Foundation Stage to Year 6.